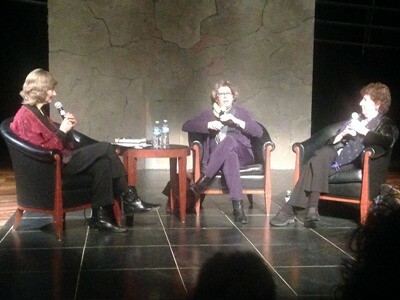 With disregard to what I wrote in my last post, I chose to attend the Hilma and Meg Wolitzer panel on Wednesday as part of the 2014 Washington, DC Jewish Literary Festival at the DCJCC. Speaking to a nearly packed auditorium of fans of all ages and moderated by Georgetown professor Deborah Tannen, the two women touched on s variety of issues from personal to socio-political. Hilma Wolitzer regaled the audience with amusing tales about how her jello molds bridged the divide between her life as a housewife and desire to be a writer, and Meg Wolitzer spoke about how her novel, The Interestings, was inspired, in part, by fledgling teenage relationships between girlfriends and encountering a larger world at summer camp. They also spoke about the difference in being a female writer in the 1970s vs today (where things have thankfully improved,) the way to mentor creative writing students with positive reinforcement, and take inspiration for novels from “slant truths” about real life. 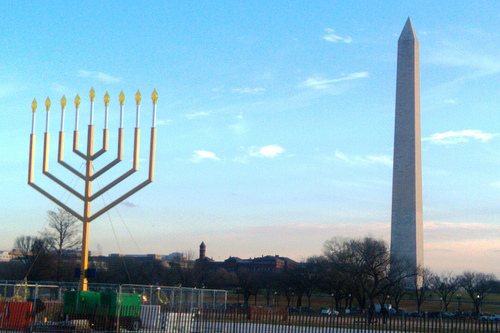 With regards to Judaism in fiction, both women occasionally feature characters of the tribe, but maintain that their lack of overtly Jewish themes have to do with how their stories manifest themselves. It was a nice little jaunt into the minds of literary novelists. The panel was promoted by Moment Magazine. The Festival continues until Oct. 19; for more information, click here.